Face masks, in particular sheet masks, seems to have taken centre stage in the beauty world at the moment. Brands are constantly releasing their own versions be it drugstore or high end so there's a ton of options for everyone despite your budget or your skin concern. 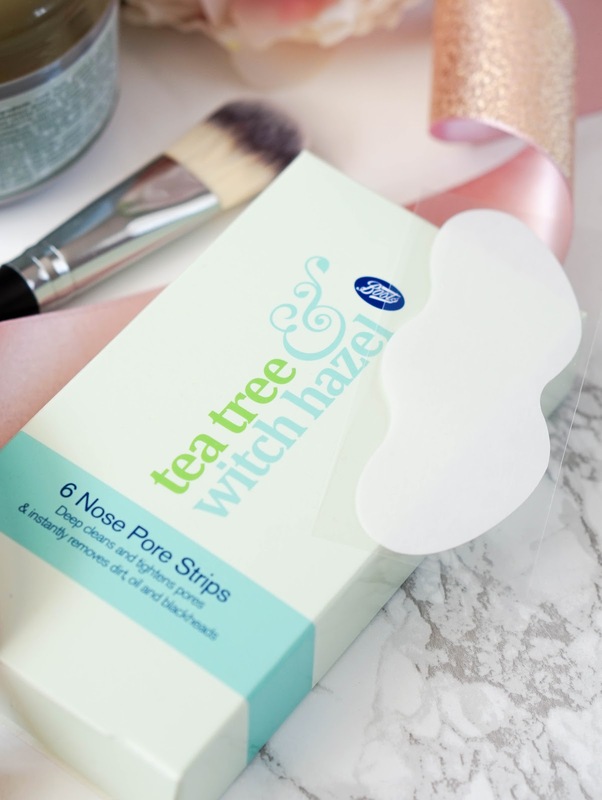 I've got my hands on a couple of masks recently, which all seem to fall in the affordable price category, so I thought I would put together a post to introduce you to these new discoveries. First up I've got a couple of Korean Beauty masks from Myscheming.co.uk, which is a UK company that stock some of the most popular and effective Asian skin care products from trusted Asian brands. There's a wide range of beauty masks and serums to choose from and I opted for three different masks which I thought would suit my skin best. Korean beauty and skincare in general is becoming extremely popular in the blogosphere and I am constantly reading/watching reviews of some really interesting products. So of course I was super excited to finally try out some of these hyped up skincare products and see how they would work on my skin. First up the Carbonated Charcoal Bubble Clay Mask*, which I've watched people use on YouTube many times before and found so fascinating. 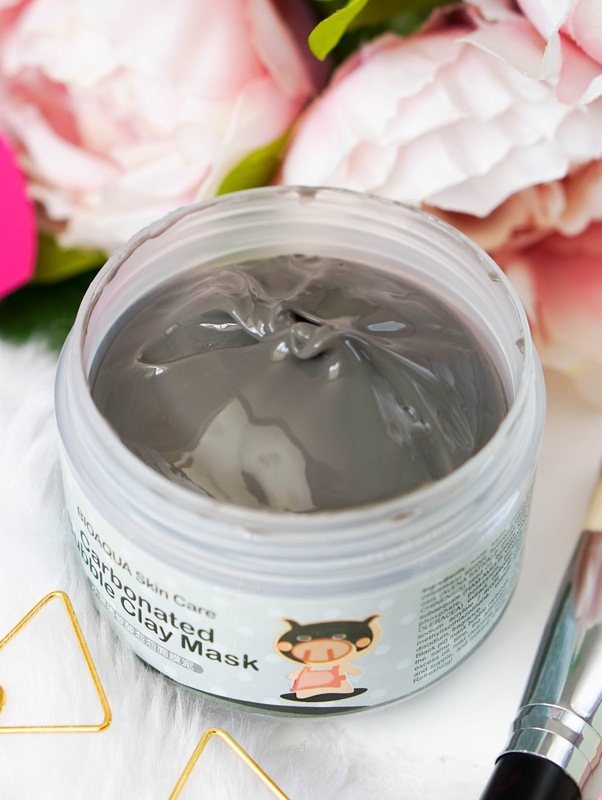 This mask is a powerful pore skincare treatment with effective ingredients such as Charcoal powder, Green Tea, Pomegranate Extracts and Collagen. 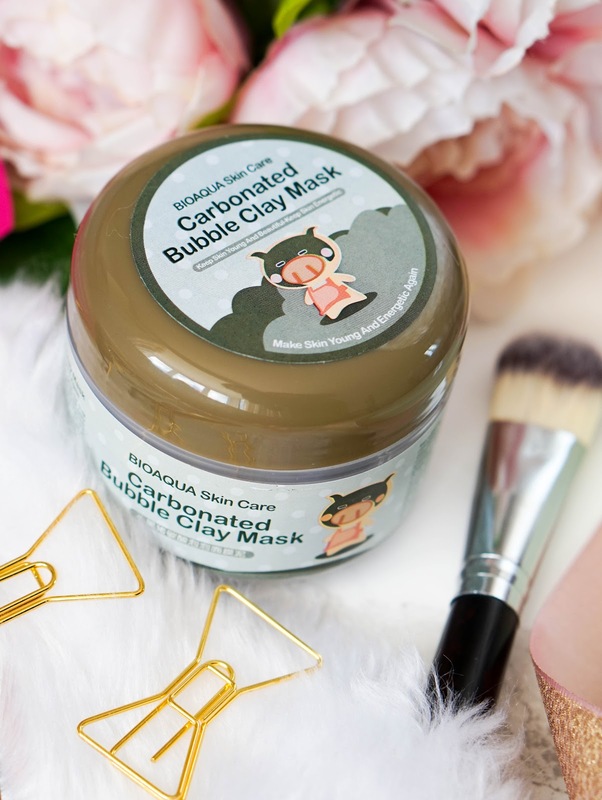 As you apply it onto the skin it starts to oxidise with the air and bubble up, like seriously bubbles up into a huge cloud (it actually looks hilarious). I found this quite ticklish on the skin, but was able to keep it on for the recommended time.. so it didn't sting or irritate my skin. Overall it helped to exfoliate my skin and clear up the pores, so it was definitely effective. I did find my skin feeling a bit tight after using it (it kind of had that squeaky clean feeling), so I would recommend you follow this up with a hydrating mask or serum. Next up I've got two sheet masks both aimed at hydrating and soothing the skin... first the Hyaluronic Acid Charcoal Facial Sheet Mask*, which has great moisturising properties and helps to absorb impurities from the skin at the same time. It also claims reduces the appearance of blemishes and wrinkles. I can't confirm to the last claim as I believe you need to use a couple of masks regularly to see those effects. 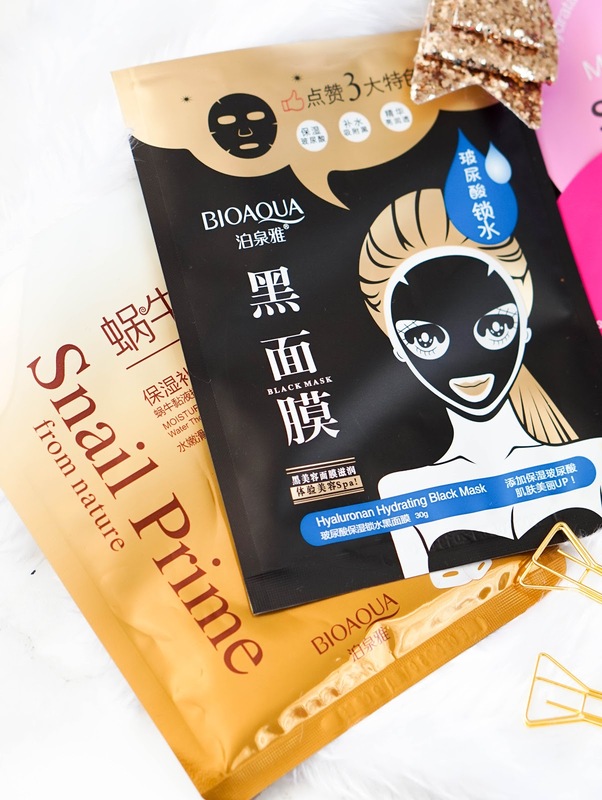 Secondly I have the BioAqua Snail Secretion Mucus Facial Sheet Mask With Hyaluronic Acid*, which sounds quite gross if you think about it but hey you got to try anything for beauty right?! Due to the active snail mucus as its main ingredient, this mask helps to promote skin regeneration and improve skin elasticity. It's also great for hydrating and soothing the skin, since it also contains hyaluronic acid and aloe vera. Overall I enjoyed using both masks, as they left my skin feeling soft and moisturised. I would happily recommend all three masks if you're looking for something a little bit different and I was really pleased to have such a great experience with myscheming.co.uk, a great UK seller for Korean Beauty products. Next up I've got a couple of Sephora own brand face mask, which I picked up on my recent trip to Rome and of course I only got around to trying out this month. Unfortunately we don't have a Sephora here in the UK.. there was actually rumours last year that one might open up soon, but so far that has yet to happen sigh! It's a shame because their own brand of products are quite affordable and great quality too. The two masks I have here are aimed at eyes and lips specifically.. First up the Lotus Eye Mask, which is a sheet eye mask, so it's different to the gel versions I have tried before. It applies really well to the eye area and it doesn't feel uncomfortable whilst you have it on. The main ingredients natural lotus flower extract, aloe vera and rice extract help to moisturise and soothe the sensitive eye area. 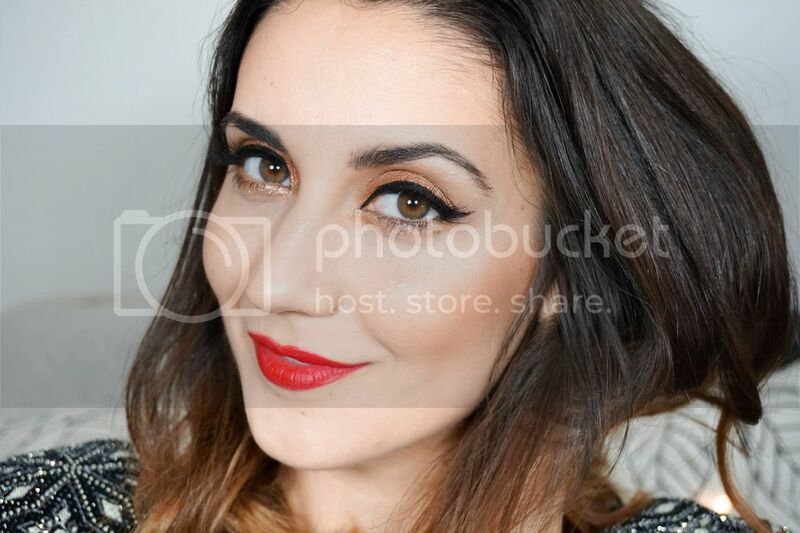 There was an instant result as it left my under eyes looking supple and more awake. You do need to use these masks regularly to maintain the results, which is a shame since I can't get my hands on it now. I've then got the Rose Lip Mask, which is completely new to me and I have never tried anything like it in the past. Again this is a sheet mask that you apply over your lips for 15 minutes to moisturise and soften the lips. It does feel quite weird having this mask on and I would recommend to use it when you are not planning on talking to anyone (obviously). However it was worth it, as it left my dry lips feeling nourished and plumped. I recommend using a lip scrub first to exfoliate the skin before applying the mask, to get the most beneficial results. I'm kind of kicking myself now for not buying more of these when I was away, as I really enjoyed them. If you have any affordable lip/eye options that would compare to these, please send them my way :). 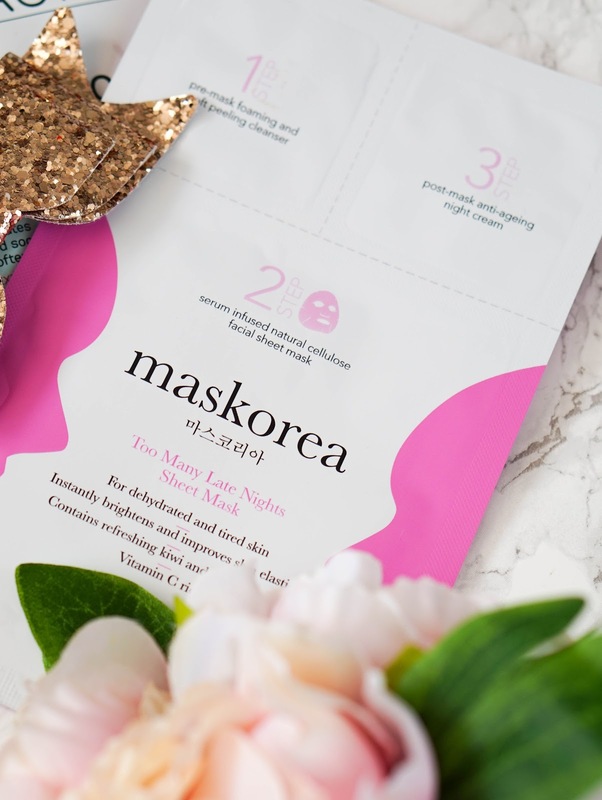 Next up is the 3 step regime face mask from Maskorea, which I quickly introduced you to last week, but at that point I had yet to try it out on my skin. Now that I finally had the opportunity to use this 3 step pampering routine, I am ready to share my thoughts and they are positive ones indeed. This Too Many Late Nights* mask (love the name btw) includes a pre-mask foaming wash, a serum-infused cellulose face mask and a luxurious post-mask anti-ageing night cream. The instructions are clear and it is simple to use despite the 3 step process, not to mention that it's extremely hygienic since everything is packaged individually. The mask aims to instantly brighten dull and tired skin, as well as improving elasticity. It contains effective ingredients such as refreshing kiwi and lemon extracts, Vitamin C and Hyaluronic Acid. I really enjoyed this 3 step mask routine and especially loved the cleanser, which removed makeup so well and didn't feel drying. The actual mask was saturated with product so you do have to try to remain still as you leave it on for the recommended 30 minutes. The night cream did leave a bit of a sticky residue on my skin, but it was worth it since the results in the morning were amazing. My skin looked radiant and felt extremely soft. I would definitely want to try more of the Maskorea sheet masks in the future and would be happy to include these in my weekly skincare routine. 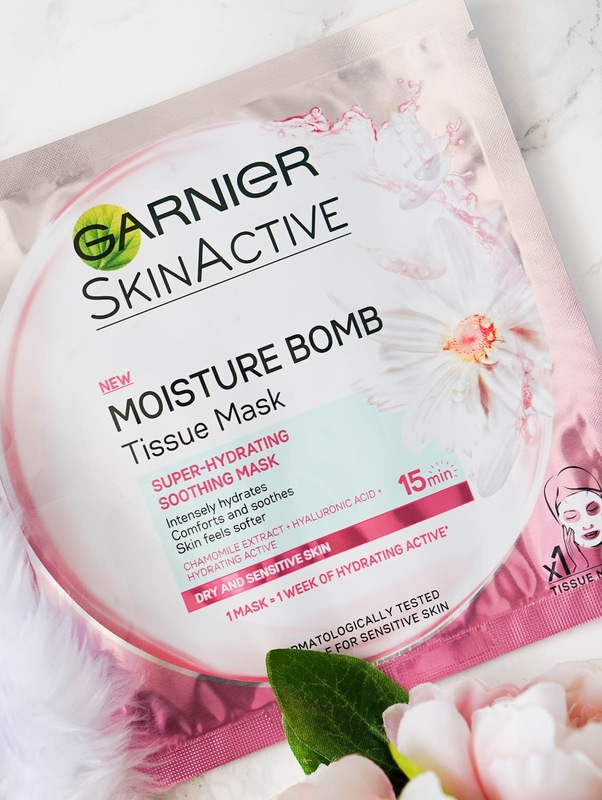 Last sheet mask out of the bunch is the Garnier Moisture Bomb Camomile Tissue Mask, which is super affordable (especially if bought on special offer like I did for £1.50) and easily found in your local Superdrug/Boots stores. 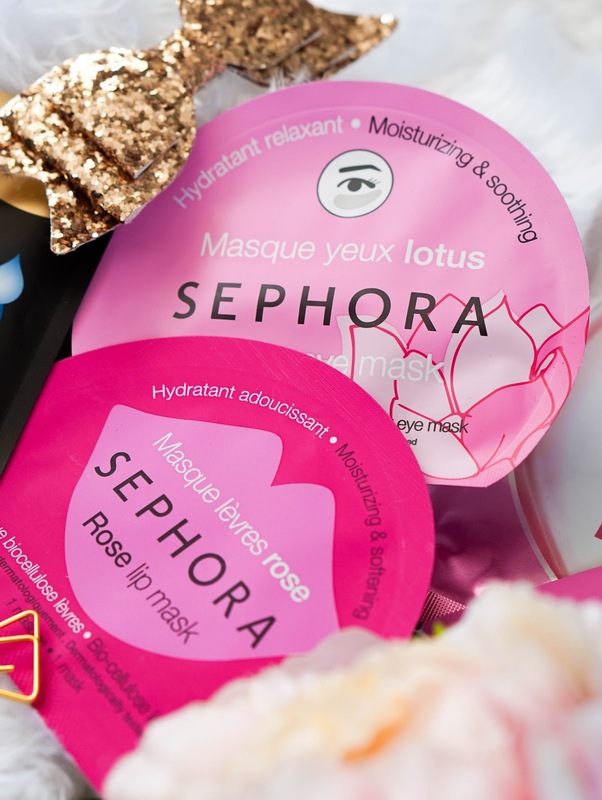 I loved the original blue Moisture Bomb Mask when it first came out and I love this new 'super-hydrating' release even more. This is especially aimed at dry and sensitive skin which is prone to tightness. The ultra thin sheet mask is infused with camomile & hyaluronic acid to soothe and give skin a much needed boost of hydration. I love how soft and nourished my skin looks once I've used the mask, especially since the results last for a few days. For the price I couldn't recommend these sheet masks enough. 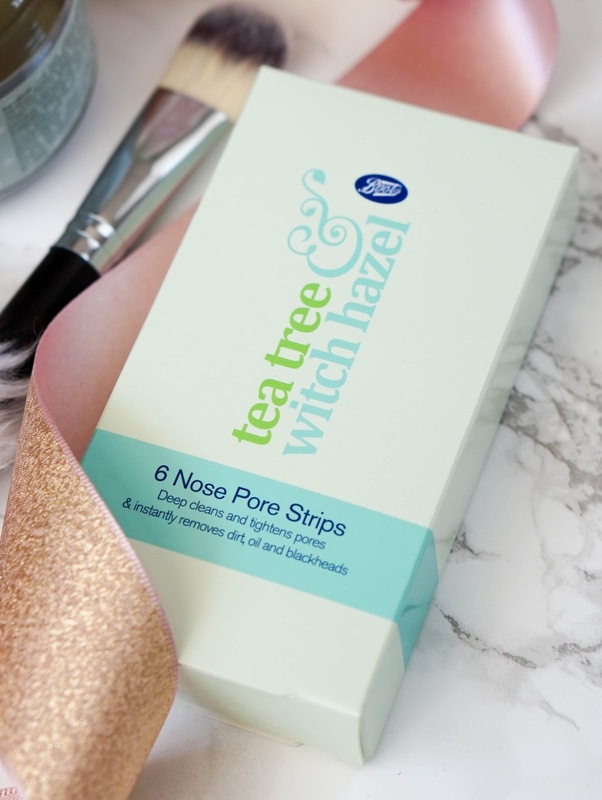 Lastly I've got the Boots Tea Tree and Witch Hazel Nose Strips, which I must be been using on/off since my teenage years (don't ask how long ago that was). They are easily found in your local Boots and they are quite affordable too. I don't use these too often and I'm not sure if you should, but I do think that once in a while they are great for removing any gunk building up on your nose (disgusting I know, but fascinating at the same time right?!). I like that these strips contain antibacterial Tea Tree Oil and Witch Hazel, as they are great for calming the skin. I get the best results when using a hot flannel first to open up my pores and then making sure my nose is quite wet, as it helps the strip to stick on properly. Usually within 15 minutes the strip is dry and ready to be peeled off, which is not as painful as it may sound. This helps to instantly remove dirt, oil and any blackheads you may have.. plus it also tightens pores. They are a real beauty gem and you should always have some n your skincare stash. Phew just realising this is another lengthy post reading that back, so I hope you managed to stick around until the end. 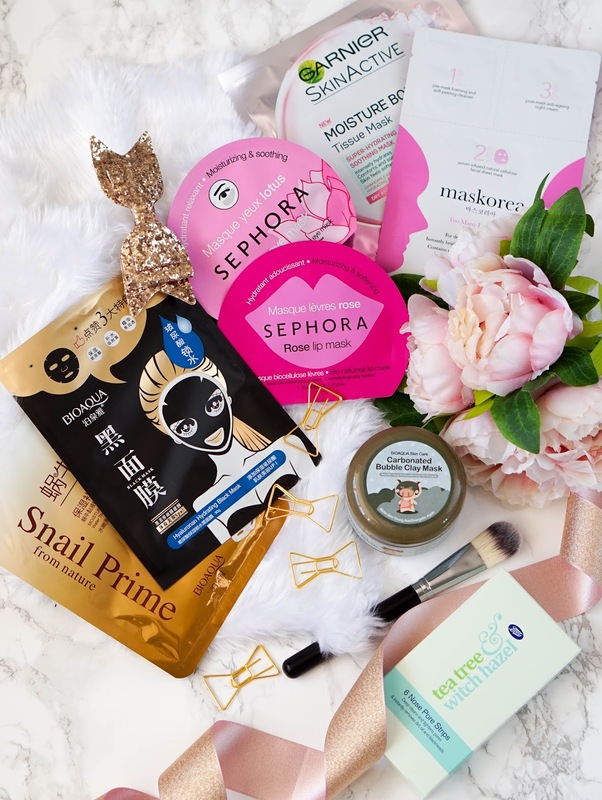 I would love to hear if you've tried any of these masks before or maybe you have some other favourites that you would like to share? Let me know in the comments below..